Tow Truck Insurance Atlanta – Fast Quotes & Same Day Coverage Seven Days Per Week! Pathway Insurance is a leading insurance broker offering competitive rates for Tow Truck Insurance in Georgia, Florida, Tennessee, Kentucky, Ohio, Indiana, Michigan, Minnesota, and Maryland. You can also speak with a licensed agent seven days per week by using our chat system. Chat with us right now by clicking the chat button on the right side of our website. Tow Truck Insurance Atlanta – Making Sure the Information on Your Application Is Accurate Is a Must! In a previous article we began our discussion considering how some companies have fallen victim to bait and switch insurance quoting. What is bait and switch quoting? It is when wrong information is provided to the insurance company with the objective of obtaining a lower rate on Commercial Truck Insurance. Because our principal specialty is Trucking Insurance we complete a large number of new Commercial Truck Insurance Quotes each week and we noticed that in some cases a handful of competing agents were using inaccurate information on the quotes which resulted in a lower price. Now on one hand if an agent uses inaccurate information resulting in a cheaper price on the Commercial Truck Insurance what’s wrong with that? Every insurance company requires their customers to sign an application. That application is your warranty, a promise to the insurer that the information you provided is accurate. What steps do insurance companies take when policyholders do not provide accurate information? To protect themselves insurers include within their insuring agreement legal language that allows insurance companies to void insurance policies as if they never existed! The agent left out the fact that you do repo work by answering the question “do you offer repossession services” with a No. Okay, so everything is fine… until one day when you have an accident that results in the insurance company reviewing or looking at your application. They discover that it was marked down on your application that you do not offer repossession services when clearly you do because the accident occurred after repossessing a vehicle. What does the insurance company do now? Do they cover your claim and cancel you, or could they take another step? Because wrong information was provided to the insurance company on your application, your insurance company now has the legal right to void your policy from its inception as if it never existed. What happens to the claim that you just had? You will need to pay that claim completely out-of-pocket and, of course, find new insurance. It is vitally important that you review information on your application because your agent may have made a mistake or intentionally left off information that could lead to a claim denial down the road. In our next article we will discuss this a little bit further so our readers can see how important it is to review information, specifically the application that you will sign with your name attesting the accuracy of your statements. 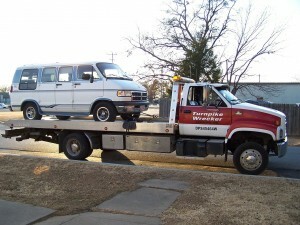 Tow Truck Insurance Atlanta — We Never Use Bait and Switch to Earn Your Business! Trucking insurance can be big business for agents and the temptation to bend the rules just slightly in your favor to earn your business can come back to haunt you later. The agents of Pathway Insurance never use bait and switch tactics to sell Georgia Tow Truck Insurance so you can trust us to help you find what you need to keep your business open.